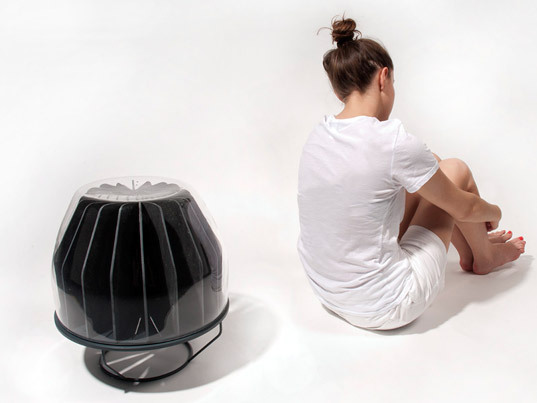 French student Florent Bouhey Fayolle created the Sun Container: an elegant freestanding radiator that uses sunlight as its power source. 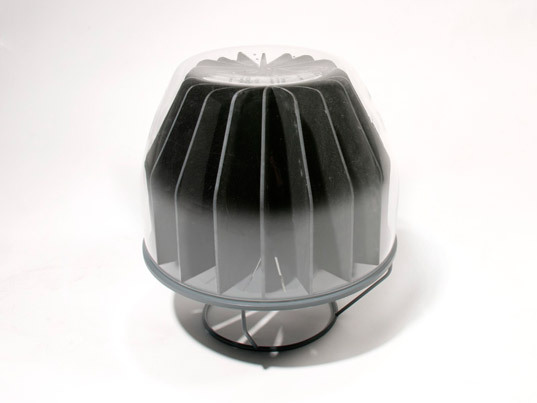 Inspired by the Trombe Wall system, this 120w passive solar heater draws sunlight through the glass cloche and stores heat in its slate fins before releasing it through the vents in the top of the glass. It can collect warm sunlight during the day and release warm air once the temperature has cooled. Although the Sun Container is not likely to produce a huge amount of heat, Florent states that it could raise the room temperature by a few degrees. We love this simple idea for a mobile solar product combines both the method of heat capture and producer in one, which is quite different to existing larger solar heating products that use separate, wired up solar panels.